Books have the power to be mirrors, windows, and doors*—chances to see ourselves in a broader context, glimpses of worlds and lives beyond our own, and opportunities to learn and grow. Only 1% of incoming book donations to The Children's Book Bank feature books with diverse characters? Yet, over 50% of the preschoolers we serve come from communities of color. 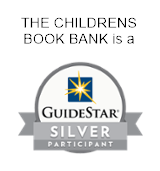 The Children’s Book Bank believes it is important for ALL children to see themselves and their possibilities reflected in the stories they read. Books are most engaging when they are relevant to children’s lives. Culturally diverse books can increase a child’s interest in reading and help them find a sustained connection to books. In 2015, The Children’s Book Bank launched A Story Like Mine to diversify our book inventory to better meet the needs of the children and families we serve. With your support, we have given over 20,000 culturally relevant books too more than 5,000 families, but the need is ongoing! Make a gift today and help The Children's Book Bank bridge the gap between the need for culturally diverse books and the lack of availability.